It’s finally February and that can only mean one of two things: snow or chocolate. Our vote is for chocolate, and City Bakery has our fix! 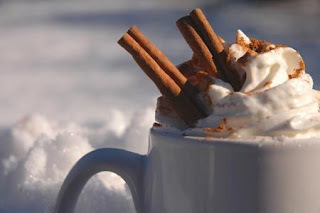 Starting today and for the remaining 27 frigid February days, their annual Hot Chocolate Festival is overflowing with chocolate-y goodness. Featuring one hand crafted flavor for every day this month, including “Super Bowl Hot Chocolate” and “Love Potion Hot Chocolate” as well as “Banana Peel” and “Beer,” the 19th Annual Hot Chocolate Festival sure is sweet!